After a 40-year absence and two franchise relocations, the A's made it back to the World Series after squeaking by Detroit in the ALCS. The Reds also narrowly advanced, topping the Pirates with a pair of runs in the bottom of the ninth in Game 5 of the NLCS. The Series opened in Cincinnati, but Oakland captured the first two games by the narrowest of margins, 3-2 (thanks to a pair of home runs from Gene Tenace) and 2-1. Game 3 in Oakland was a pitcher's duel between Cincinnati's Jack Billingham and Oakland's Blue Moon Odom. The Reds took a 1-0 lead in the seventh inning, when Cesar Geronimo's single to center field plated Denis Menke, and that's how it ended. 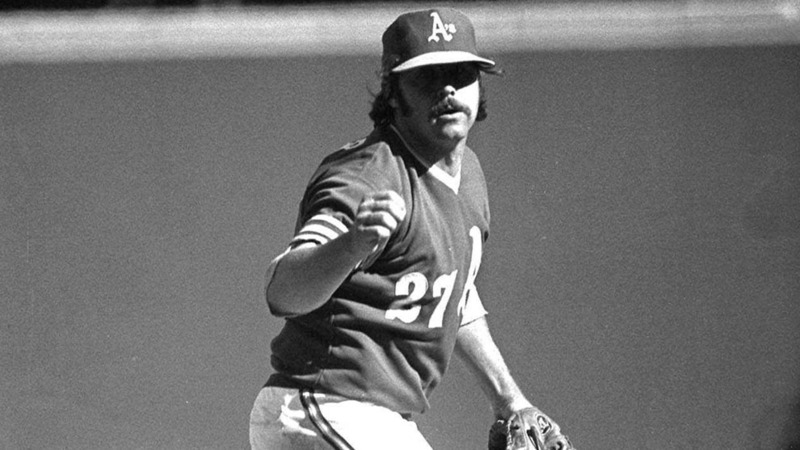 The A's took a 1-0 lead in Game 4 when Tenace walloped his third homer of the Series, but Bobby Tolan's two-run double in the eighth gave the Reds a 2-1 edge. Tenace homered yet again in Game 5, this time a three-run shot in the second inning that gave his club a 3-1 lead. The Reds battled back, though, and Pete Rose's RBI single in the top of the ninth was the deciding blow in Cincinnati's 5-4 victory, with Game 3 starter/winner Jack Billingham picking up the save. The Reds evened the Series at three games apiece with an easy Game 6 victory, 8-1. The A's opened the scoring in Game 7 with an unearned run in the first inning. Cincy tied things up in the fifth on Hal McRae's sacrifice fly. But the very next inning, Tenace and Sal Bando both stroked RBI doubles to give Oakland a 3-1 edge. The Reds made it 3-2 in the eighth, but A's reliever Rollie Fingers shut the door in the ninth, and the city of Oakland had its first world championship in any sport.